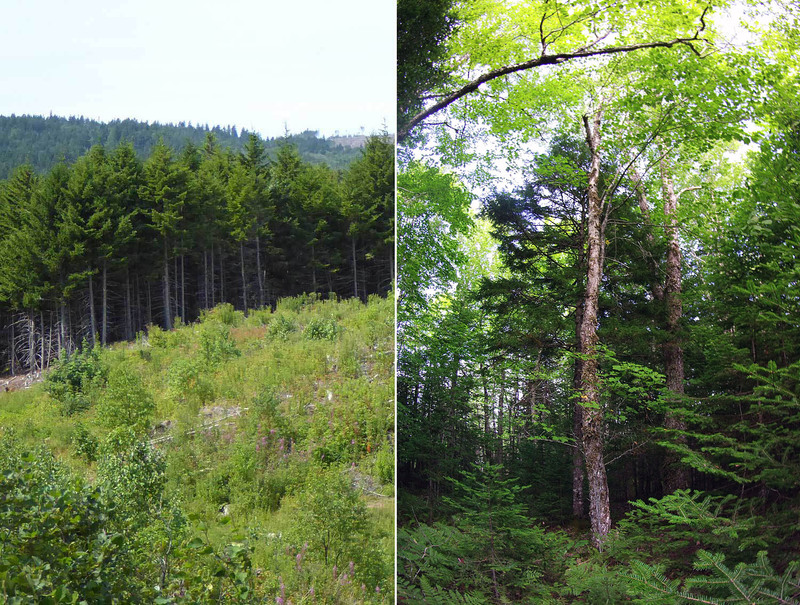 Two approaches to forest management in Nova Scotia: LEFT: even aged management/short rotations. RIGHT: Selective harvesting, high standing volume and structural integrity is maintained. The latter but not the former would be eligible for carbon offset credits, which could make it the more attractive option for many small woodlot owners in NS, especially those with high volume/older forest stands. UPDATE May 8, 2018: CBC made a post based on its CBC Info Morning interview with Dale Prest (also cited in this post). CBC also talked to Saint Mary’s University professor Kate Ervine who is critical of the concept of offsets. “She said the main issue with carbon offsetting is that it doesn’t address the principal source of additional carbon dioxide in the atmosphere: burning fossil fuels.” View Carbon offsetting could preserve N.S. forests, but researchers raise concerns CBC, May 7, 2018. I was lucky enough to catch an interview with Dale Prest on CBC’s Information Morning yesterday morning, on the topic of “Climate Forests”. This followed my making a post on the topic of carbon offsets a couple of days before. As I listened to Dale, I realized I had erred in some of my interpretation of how forest carbon offsets work. I made a few changes and asked Dale via e-mail if I now had it right. He replied yes, and that I could be forgiven for the initial error as “no one has figured out how to structure payments for small family woodlot owners”. Dale, however, has been a key player in the development of Community Forest International’s successful foray into forest carbon credits via a project on a 705 acre woodlot on Whaelghinbran Farm near Sussex, N.B. – Dale said in the interview that it’s the only place east of British Columbia where a project of this nature has successfully launched and sold. 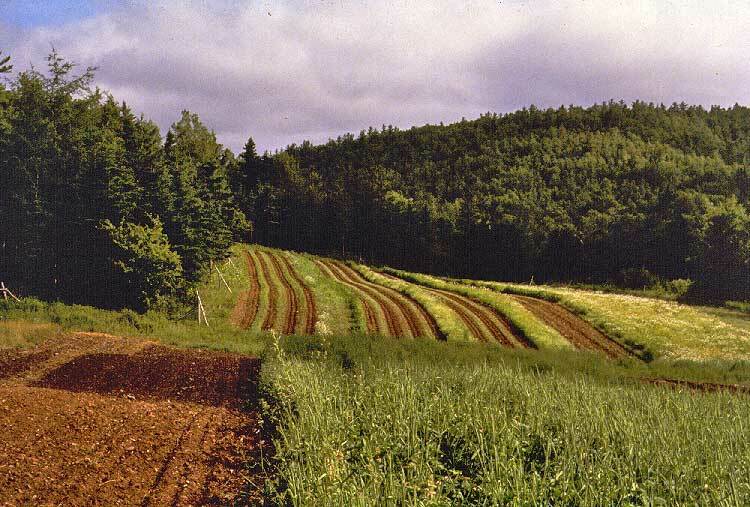 Dale is now heading up a new initiative – the Climate Forest Company – with the goal of facilitating the participation of private woodlots in the Maritimes in carbon markets. *A note about the “abbreviated transcripts”. I post “abbreviated transcripts” of interviews on radio and TV as a matter of record, a prime objective of this blog being to keep track of Nova Scotia forestry in the news (see About this site). One can listen to the interviews, but in this rushed world it’s faster to read the transcript, albeit you miss some of the nuances. It is not Hansard, and for the sake of getting though it in less than a day, the transcript is not always precise, but I attempt not to change the essence of what is said in any way, and in most cases one can check out the original audio files or videos. I also do it because it makes me listen carefully to what is being said, whether I like what’s being said or not. For this interview, which was 9 minutes long, I have added a few subtitles. CBC/Portia Clarke (PC): Dale Prest is launching a new endeavour, the Climate Forest Company, trying to find Nova Scotia landowners who would like to be paid for keeping their forest intact. Dale, What is a “Climate Forest”? Dale Prest (DP): A Climate Forest is a forest that is deliberately managed to catch and store additional carbon. The critical thing is the additional aspect. All forests store a certain amount of carbon in their trunks and branches. But we as foresters know that there are ways to manage a forest to store more carbon than they would otherwise. By growing trees to be healthier and older and larger and manage those forests to be stable over the long term. PC: How much of that is manageable? DP: Basically all of it. 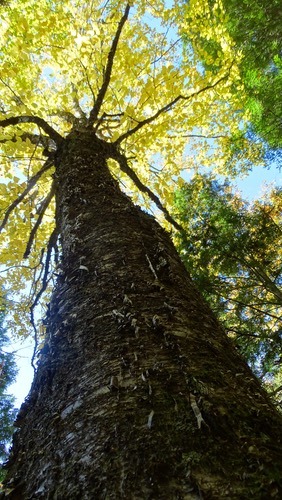 In the Acadian forest, a stable diverse forest type, you can store about three times more carbon on average in a Climate Forest than in a forest managed only for production of fibre. So the opportunity is quite great. PC: Without getting too heavily into the details of things like carbon offsets and cap and trade, those are the principles that work with your idea? DP: Yes, in the day and age when we are increasingly pricing carbon emissions and taking climate change more seriously, simply knowing that we can use our forests to fight climate change by storing more carbon isn’t good enough. We need to have mechanisms to incentivize land owners and forest managers to actually do that. Carbon credits are one way we can economically reward woodlot owners that can capture and store carbon in their forests and keep it there securely for 100 years. PC: So polluters would pay landowners for the carbon that they are sucking up with the trees? DP: Exactly, a carbon offset credit is really a transitional tool that’s used over the short to medium term as we get to zero emissions around 2050 which is where we need to be. It really just allows the emiters to help bridge that gap from today in going to zero emissions a couple of decades down the road. PC: So which way are the credits flowing? DP: Private woodlot owners would be able to sell carbon credits into those larger regulatory markets created by cap and trade programs you would see a flow of money coming back from jurisdictions such as Ontario to purchase those offset credits. You can think of it as a new export opportunity; exporting carbon credits are really exporting the right to the stored carbon in our forests and bringing those dollars back. PC: How would that compare to logging the land in terms of income? You might feel good about doing the right thing, but there is the financial tradeoff. DP: It has to make sense on a financial basis and the really complementary thing about managing a forest in this way is that the type of forest that best and securely stores carbon in the forest is a managed forest, a forest managed to ensure the trees are healthy; as individual trees start to get old and past their best-before date, they can be harvested and still sold into sawmills. So it’s really not a question of one or the other…timber harvesting and carbon capture and storage can work together in a very synergistic way. PC: So what kind of commitment are you looking for from landowners to keep their forest intact and to manage them the way you are talking about? DP: If you look at other areas of North America where these industries have taken hold, they are 100 year commitments; those 100 years are based on the amount of time that 1 ton of carbon dioxide will spend in the atmosphere after it comes out of the exhaust pipe of your car.So these are contracts and programs that outlast the lifetime of an individual landowner and the tenure of an an individual landowner. They take on a unique flavour to ensure the integrity of these projects in the long term. PC: How much money could a landowner expect to make from a given parcel of land over that 100 years? DP: If you look at analogous regions in the U.S. where those have taken off… in the northeastern U.S, 20-40$ per acre per year [49-99$ per hectare per year] is in the general ball park that landowners can expect. At Community Forests International we have been working the last couple of years with support from Environment and Climate Change Canada to develop forest carbon management plans around the region, I think 7 are in Nova Scotia, and we have been looking at some of those realty exceptional forests that store a lot of carbon and those landowners at the high end can get between $50 and $100 per acre per year [123-247$ per hectare per year]… So it really is quite a significant source of revenue especially when you consider that it is spread our over 100 years. 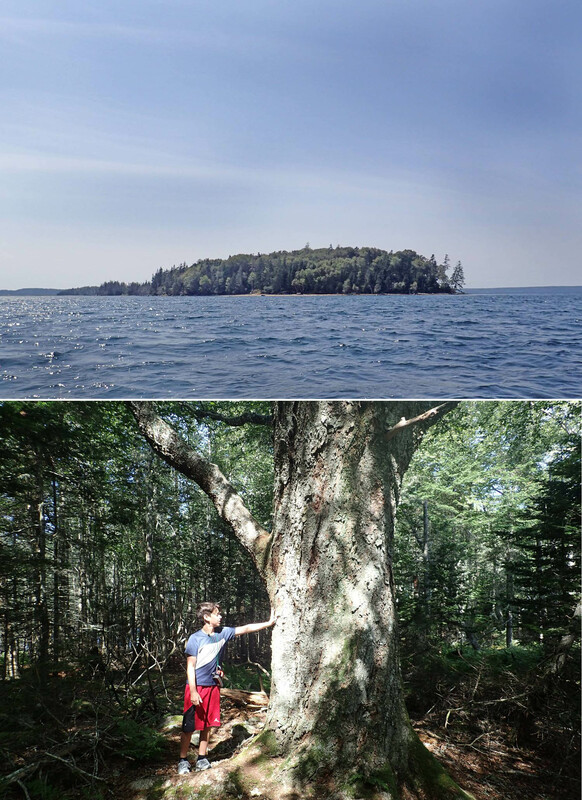 PC: What is it about Acadian forests that make them suitable? DP: The Acadian forest is a temperate forest. It is different from the boreal forest to the north in that it is a lot more diverse, we have a lot of hardwood and softwood species that mix and grow together. It is also a very stable forest type that doesn’t burn on its own accord. Before Europeans showed up, the fire-return interval was of the order of 2-3000 years in some instances.. so fire was really non-existent. Compared with mountainous forests in B.C, our forests store carbon much more securely. And if you compare the Acadian forest with the forest of southern Ontario which is a similar forest type, our land values are very much lower… so if you look at the cost of commiting to a 100 year contract, we are at a competitive advantage here in the Maritimes. PC: So where is it happening already in the Maritimes and where is Nova Scotia with it? Whaelghinbran Farm, NB, when I was conducting some research there in 1989. I am glad to know those magnificent forests are still standing. Thanks, Clark and Susan and Community Forests International. DP: At Community Forest International, we built a demonstration project [on Whaelghinbran Farm] outside of Sussex, N.B., where on 705 acres we have sold around $400,000 of carbon credits over the last 5 years. We are now negotiating another contract of similar magnitude and looking at another 500 acre aquisition for it. That’s the only place east of British Columbia where a project has successfully launched and sold. If you look at larger regulatory markets, the U.S. is the jurisdiction of interest and specifically the cap and trade system in California. They have allowed projects from across the U.S. to sell into their market and there now 1/2 million acre projects that have got off the ground. One project recently created about $150 million worth of carbon credits and it sold out before they even got those carbon credits to market. The total value of carbon credits that have been created in the California market is around a billion Canadian dollars since 2013. So these are large sums that are trading hands today. PC: It will be intersting to see if it does take off in Nova Scotia – we are expecting the report from the Ind Review of Forest Practices soon, we’ll see if it is mentioned there. Dale, ‘good to talk to you. That’s Dale Prest the Ecosystem Services specialist at Community Forest Internationa in New Brunswick, soon to have a new job leading the Climate Forest Company. I was not familiar with the term “Climate Forest” before I heard the interview. A Google search for “Climate Forest” (with the quotation marks included so it looks for the exact phrase) turned up only two instances of use of the term, only one of which (the Vatican Climate Forest) used the expression in the sense Dale uses it. But, I think it’s catchy and once explained it’s easy to grasp and remember the concept it is intended to convey. With the “Climate Forest Company”, I think Dale is on to something far more than just a catchy name. 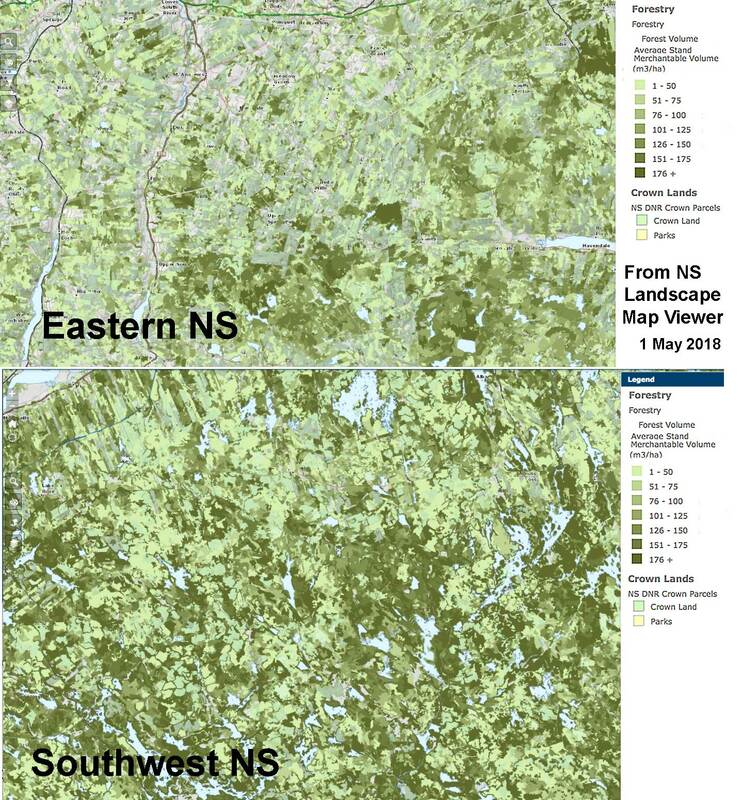 Merchantable forest volumes in sections of eastern NS (above) and southwest NS (below) After centuries of intensive harvesting, high volume forests stands now exist only as a patchwork throughout the province. The darker patches in the maps above have the higher volumes that store the most carbon and that would be most valuable to woodlot owners participating in carbon markets under an expanded Cap and Trade system for Nova Scotia. High volume stands are most abundant in SW Nova Scotia, now the focus (or desired focus) of industrial forest harvesting in Nova Scotia. That time interval is significant because it is the length of the long term contract for access to Crown lands that WestFor has been seeking and that it was en-route to receive until the fuss about clearcutting emerged. The McNeil government said it would delay any long term decisions until after the Independent Review has handed in its report (view Six month extension.. post, Nov 13, 2017). The report from the Independent Review is expected soon. So with decisions about long term contracts with WestFor about to come up again, we are at critical juncture. The sooner The Climate Forest Company can get going in Nova Scotia the better it will be for our forests and for our climate! Hopefully, the NS government will soon get a strong recommendation from the Independent Review of Forest Practices to open up our Cap and Trade system accordingly. 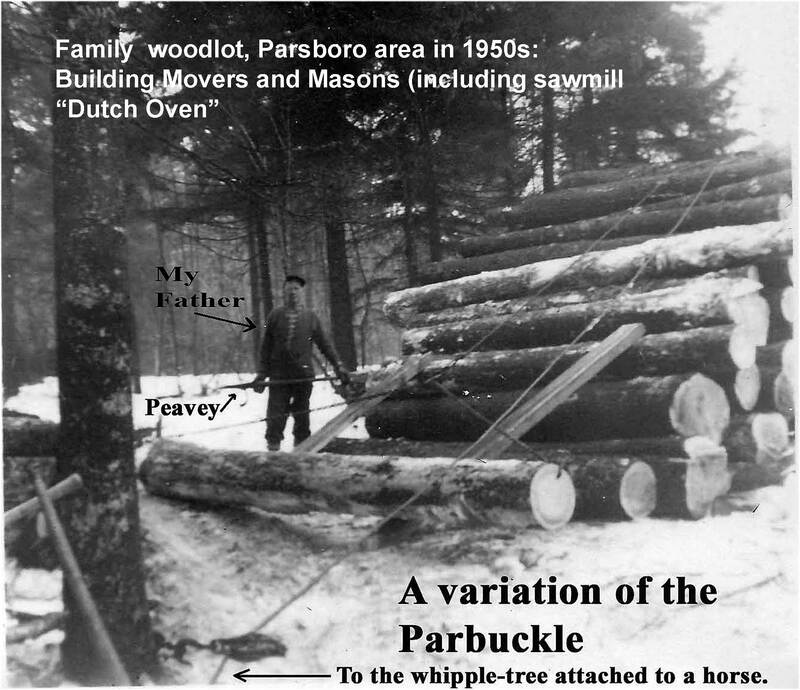 *Why only a decade: A friend who grew up in a forestry family in the Parrsboro area, told me it took only 25 years to clearcut most of Cumberland Co. once they got started in the 1960s. So with modern methods and equipment, that could well be shortened to 10 years. It sounds like many of the woodlots of those days would qualify as Climate Forests today. That particular “Dad’s woodlot” is still around; the last selection harvest was in the 1980s – so it would likely still qualify as a Climate Forest and be eligible for carbon offset credits, if those were accessible. There are probably many more such woodlots amongst the “inactive” private woodlots in Nova Scotia (see Kekacs: Gifts to a Future World: Conversations with Woodland Owners in Nova Scotia, MES thesis, 2017). This entry was posted in Acadian Forest, Climate Change, Conservation, Independent Review. Bookmark the permalink.